Learn how to spell and say different words for members of the family including the words for mum, dad, brother, sister, cousin, auntie, uncle, grandfather, grandmother, niece, nephew, husband, wife, boyfriend, girlfriend. 1. How do you say family in Spanish? 2. What is the word for mother in Spanish? 3. What is father in Spanish? 4. What is brother in Spanish? 5. What is sister in Spanish? 6. What is cousin in Spanish? 7. What is aunt in Spanish? 8. What is uncle in Spanish? 9. What is grandfather in Spanish? 10. What is grandmother in Spanish? 11. What is nephew in Spanish? 12. What is niece in Spanish? 13. What is husband in Spanish? 14. What is wife in Spanish? 15. What is boyfriend in Spanish? 16. What is girlfriend in Spanish? 17. How do you say relation in Spanish? 18. How do you say father-in-law in Spanish? 19. How do you say mother-in-law in Spanish? 20. How do you say mum in Spanish? 21. How do you say dad in Spanish? 22. 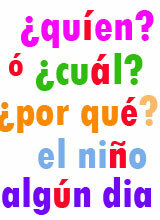 What is the word for parents in Spanish? 23. What is son in Spanish? 24. What is daughter in Spanish? 25. What is brother-in-law in Spanish? 26. What is sister-in-law in Spanish? 27. What is the word for baby in Spanish? 28. How do you say step father in Spanish? 29. How do you say step mother in Spanish? 30. How do you say twin in Spanish? 31. How do you say step sister in Spanish? 32. How do you say step brother in Spanish? 33. How do you say widow in Spanish? 34. How do you say grandson in Spanish? 35. How do you say granddaughter in Spanish?